Win STAR WARS THE FORCE AWAKENS on Blu-Ray! STAR WARS: THE FORCE AWAKENS is the most successful movie of all time, smashing through every box office record around the world. If you’re a fan, you also want to add it to your permanent home movie collection. 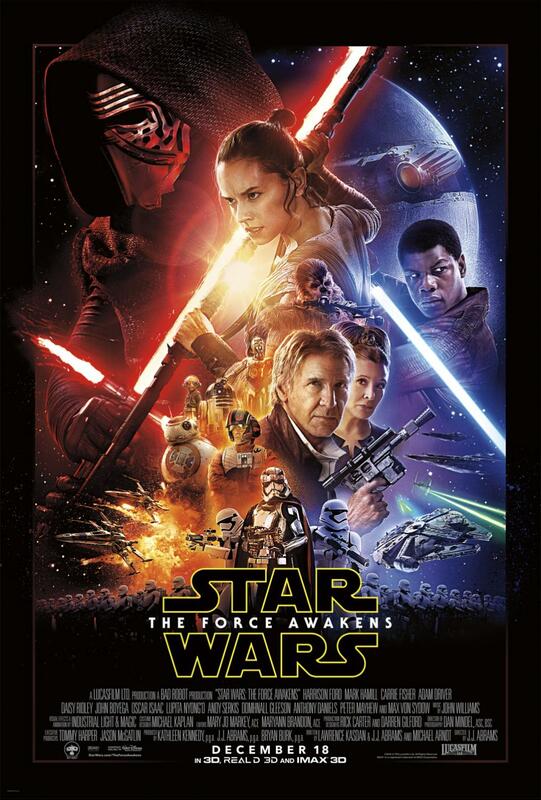 That event will be happening on April 5, 2016, when STAR WARS: THE FORCE AWAKENS will be arriving on Blu-Ray and DVD. 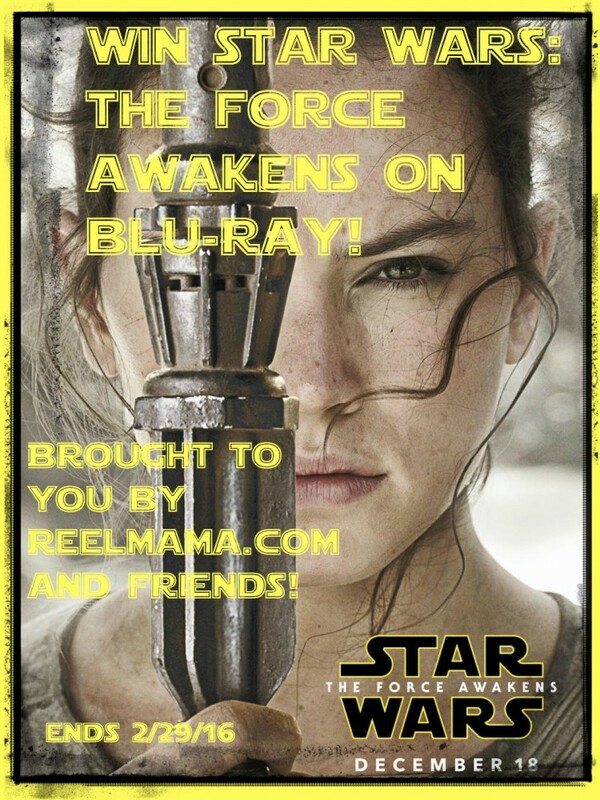 ReelMama.com loves her readers, and to celebrate almost five years of blogging, she and her awesome blogger friends are bringing you a chance to win STAR WARS: THE FORCE AWAKENS on Blu-Ray! A big THANK YOU to our participating bloggers helping to promote this giveaway! Luke Skywalker has vanished. In his absence, the sinister FIRST ORDER has risen from the ashes of the Empire and will not rest until Skywalker, the last Jedi, has been destroyed. With the support of the REPUBLIC, General Leia Organa leads a brave RESISTANCE. She is desperate to find her brother Luke and gain his help in restoring peace and justice to the galaxy. Leia has sent her most daring pilot on a secret mission to Jakku, where an old ally has discovered a clue to Lukes whereabouts. ReelMama.com will pre-order the STAR WARS THE FORCE AWAKENS on the winner’s behalf at the contest’s conclusion. Fan girls and boys after my own heart, enter using the Rafflecopter below, and best of luck! Remember that our lovely bloggers LOVE IT when you “like” us! Giveaway Rules: This giveaway is in no way associated with Instagram, Facebook, Twitter, or any other social media platform. You must be 18 years old or older to win and be a U.S. or Canadian resident. This giveaway will run from Friday, January 29, 2016, until Monday, February 29, at 11:59pm. One winner will be chosen at random via the Rafflecopter. Disclosure: ReelMama.com is sponsoring the prize and is solely responsible for prize shipment. No other blogger received compensation for participating in this giveaway. R2D2 I love his spunky attitude. My Favorite is Han…goodlooking, good sense of humor, and manly. I still love his actor. My favorite Star Wars character is Luke Skywalker because he represented a new hope and realized that hope with the defeat of the Emperor. I absolutely adore BB-8 from the most recent movie. I love them all, though. My favorite Stars Wars character is Luke Skywalker.